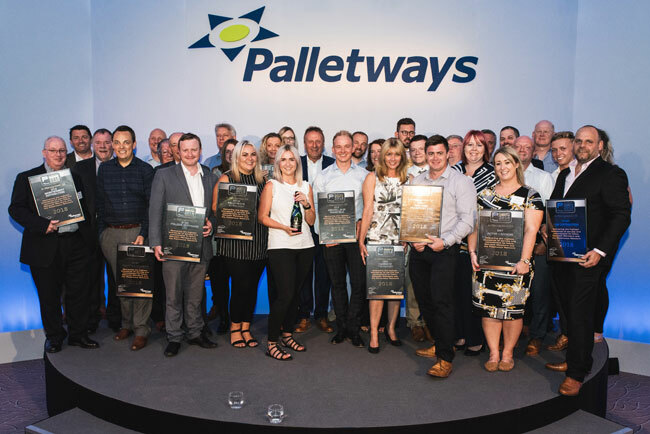 The Awards, which were presented at the company's recent Operations Conference in Sutton Coldfield, are held annually by Palletways to recognise members that over the past year have delivered operational excellence and consistently high standards. The ceremony recognises achievements from the Palletways members in the fields of Operational Excellence and Sales. The Platinum Club Operational Excellence Award winners. Members have won the award after demonstrating their ability to consistently deliver and collect orders on time, provide on-delivery information to customers, use Palletways' industry-first ETA technology and demonstrate first-class customer service. To win the award, members grew their year-on-year volumes across both domestic and international markets, used Palletways' Campaign Central platform to reach new and existing customers and achieved the highest increase in pallets per day either regionally or nationally. Rob Gittins, Managing Director at Palletways UK, said: "It's a delight to bestow our top performing members in the UK with this Platinum Award and we'd like to thank them for their ongoing efforts in driving the network forwards over the past twelve months. "As a business, our goal is to grow our pallet volumes while continuing to provide our customers with a service that's fast, efficient and reliable. These Awards highlight the dedication of our members and recognises their contribution towards achieving our goals in operational excellence and sales." There are over 115 independent transport providers that are part of the Palletways UK network. They benefit from shared expertise and resources from within the group to deliver consignments of palletised freight to market faster and more cost effectively than ever before. The Palletways Group comprises 450+ depots and 20 hub operations, through which it provides collection and distribution services across 20 European countries, including the UK.